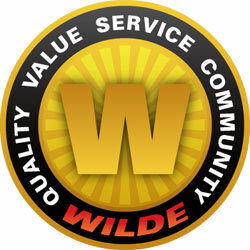 Wilde Bodyworx in Sarasota is a member of the Wilde Automotive Family. We are proud to offer Wilde Automotive’s tradition of excellence to the auto body shop, collision center and auto offerings in Sarasota. We specialize in luxury vehicles and are committed to delivering exceptional service aimed at your complete satisfaction. Wilde Bodyworx offers a complete selection of auto body and detailing services for your vehicle. Wilde Automotive is known for the high quality and reliability of its cars, and Wilde Bodyworx is known for the high quality of its repair work. You will appreciate our attention to detail given to every inch of your vehicle. Wilde Bodyworx offers a superior facility with state-of-the-art equipment, trained technicians and a dedicated staff to restore your vehicle to like-new condition. Customer service is our number one priority. Our philosophy is simple: Operate with integrity and put the customer first. We invite you to come to our Bodyworx facility and experience exceptional service firsthand. Our commitment to the community doesn’t stop with putting safe vehicles back on the road, we’re also Wilde about our community — and have given back for many years by developing sponsorships focused on important community initiatives. As a member of the Wilde Automotive Family, we sponsor numerous non-profit organizations, cultural arts, children’s charities and events that directly benefit those who live and work here. We look forward to serving your auto repair needs and hope you choose Wilde Bodyworx for your next auto body repair, collision repair or auto detailing service.